We are actively searching for these following videos of Anna. If you have any of the following material or have other rare Anna photos or videos which are not on our site, please contact us as we would love to share these with the community. Anna Torv at the Gibson Amphitheatre, Universal Studios, Hollywood CA. Interview with Michael Buckley for the MTV 2010 Teen Choice Awards. Video was originally streamed at: http://www.ustream.tv/teenchoiceawards. Unable to locate video. Anna Torv presenting at the 61st Primetime Emmy Awards (2009). Video was sourced from: 61st Primetime Emmy Awards 2009 1080i HDTV DD5.1 MPEG2-CtrlHD and distributed on SuperiorPics. Unable to locate video. Poor 720p capture is still available. Anna Torv on Late Night with Jimmy Fallon (2009-11-16). Originally distributed on SuperiorPics in 1920×1080. Unable to locate video. Poor 352p capture is still available. Anna Torv on Tavis Smiley (03-31-2010). Originally distributed on SuperiorPics in 1280×720. Unable to locate video. Poor 288p version is still available. Anna Torv in Orvieto, Italy. Originally distributed by BEST MOVIE (http://blogs.bestmovie.it/robertodefeovitopalumbo/2011/06/13/grindhouse-intervista-in-esclusiva-la-protagonista-di-fringe-anna-torv-al-fantasy-horror-award/) via YouTube: http://www.youtube.com/watch?v=YSdXb_raijc/ Unable to locate video. Noble Intentions – 421 – Brave New World, Part 1. Originally distributed by Hulu: http://www.hulu.com/watch/359307. 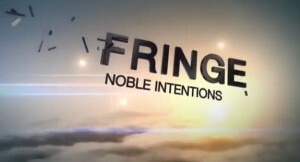 Removed after Fringe ended. Unable to locate video.